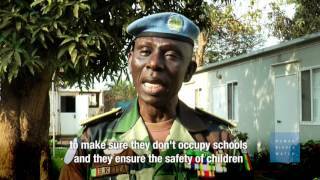 Since 2007, the military use of schools or universities has been documented in at least 29 countries with armed conflict or insecurity, according to the Global Coalition to Protect Education from Attack, of which Human Rights Watch is a member. That number represents the majority of countries experiencing armed conflict during the past decade. Examples can be found in Africa, the Americas, Asia, Europe, and the Middle East. The military use of schools is therefore a global problem, needing international attention and response.Schools and universities have been taken over either partially or entirely to be converted into military bases and barracks; used as detention and interrogation facilities; for training fighters; and to store or hide weapons and ammunition.